Send us your colouring-in pictures or write to us about your safety tips. 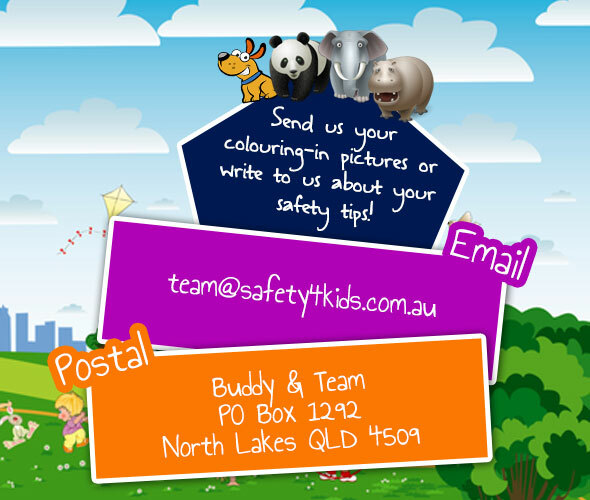 Have artwork or a great safety tip you would like to share with our team? Then email us or send us a letter in the mail. We love to share your talented artwork, so if you send us your colouring-in images or own drawing creation, we will place it within our Kids' Corner section of our website - so keep a lookout for it! Buddy, Hazel, Paulie, and Eric, love receiving messages and always check their email and letter box regularly, so send your letter or artwork today!